Centering Prayer will be offered between services (10:15 ~ 10:45 am) on the Third Sunday of the month in the Martin Room. Any relationship grows in depth with good listening. This applies to our relationship with God. If we wish to deepen our relationship with God, it helps to set aside some time to listen…to be still and to make space to be aware of God’s presence. One method for cultivating this stillness and space is through Centering Prayer. Centering Prayer is a prayer method rooted in the ancient Christian tradition of the Dessert Fathers and Mothers who recognized the essential nature of silent, receptive prayer. In this silence, we allow ourselves to be receptive to God’s presence and action within us. 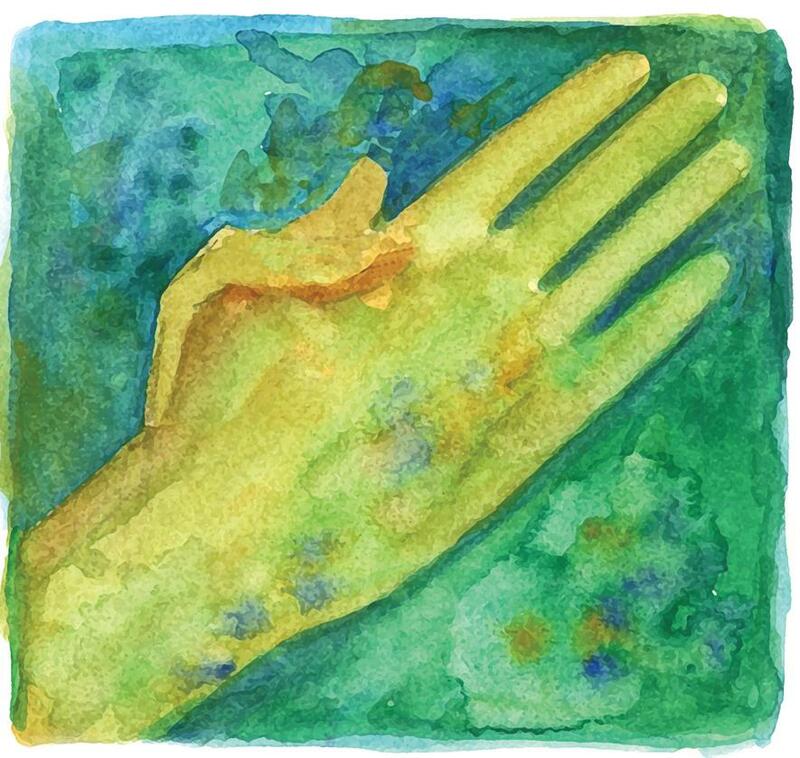 Centering prayer is grounded in relationship with God, through Christ, and is a practice to nurture that relationship. Centering Prayer is not meant to replace other kinds of prayer. Rather, it adds depth of meaning to all prayer and facilitates the movement from more active modes of prayer - verbal or active prayer - into a receptive prayer of resting in God. If practiced regularly, it can help us be more aware of God’s presence and action in our daily lives. Whether you are simply curious about Centering Prayer, have tried it and think that you “can’t do it” or have an established practice with this form of prayer, please join us the third Sunday of the month between services in the Martin Room. Guidance and resources will be offered for those who are beginning and community in praying will be there for all. If you have any questions, please contact Mary Boutselis marybouts@gmail.com or 814- 883-4225. Centering Prayer is Also Offered Each Wednesday at 12:15 pm ~ Centering Prayer is offered each week for 20-30 minutes in the Tower Prayer room, just off the sanctuary at 12:15 pm. Centering Prayer is a method of silent prayer which assists us in deepening our relationship with and groundedness in God. This form of prayer is based on early Christian tradition of silence, solitude, simplicity and openness. We have Centering Prayer workshops throughout the year. You can contact Mary Boutselis or Mary Jane Kistler for more information about these meaningful gatherings. There are a variety of Centering Prayer weekly gatherings in our community, which you can learn more about at Contemplative Outreach of Central PA. If you are interested in joining a women's small group, please contact Mary Jane Kistler. The afternoon provides time for personal reflection, a chance to get acquainted with others through a small group experience (or further time on your own), the option to participate in an art activity, music, prayer, and a simple meal. Sabbath away is intended to deepen faith and build community. All ages are welcome and encouraged to bring a friend. There is no childcare, but the art offering will be appropriate for grade school (and older) and parent supervised younger children. Please contact the church office (238-2422) if you are planning to attend and/or would like to be on the email list for more information. Click here to join our mailing list and receive notifications of upcoming offerings. All are invited to participate (usually on the last Sunday of the month) at the McCann School of Art. Registration is from 2:00-2:30 pm. Group Welcome and singing begins at 2:30 pm. Contact Roger Garthwaite with any questions. We are updating our email directory, so if you want to know what is going on with Sabbath Away, click here to enter your contact information and select "Sabbath Away" or to update your email list preferences. Check the News and Events Page for details on each month's offering. Occasional Taizé worship services are offered using the music and format of the Taizé monastic community in Southeastern France to sing, observe silence, and, in the words of Brother Roger, founder of Taizé, meet with God. This simple contemplative service lasts about 30 minutes and is open to all ages. More information about Taizé can be found at www.taize.fr. Check the news announcements page for details about when the services will be held, or check with the Church Office (814-238-2422). We offer a thoughtful daily devotion each Advent and Lent. Subscribers will receive a personal reflection (from church members, staff and friends of the church), prayer and quotes based on scripture. If you are not already on the devotional email list and would like to be, you may join our mailing list here. You can edit your preferences for the email lists available. A Spiritual Direction Ministry has been established through the Spiritual Formation Ministry Unit. Spiritual direction is the art and practice of companioning you on your spiritual journey. It is an ancient tradition that encourages you to look for God’s presence and grace in the everyday moments and events of your life. This ministry is available to all. Click here to meet the Spiritual Directors and learn more about how to schedule an introductory meeting. Offers in depth experiences for high school seniors (& their families) to faithfully support, acknowledge and mark their transition from childhood to young adulthood. Paul Meister coordinates, CROSSINGS, a Rites of Passage retreats for the boys (the Crossings) over the Memorial Day weekend. Any interested families of seniors can contact Paul for more information.